The rhetoric coming from the Donald Trump campaign has gone from divisive to potentially illegal. 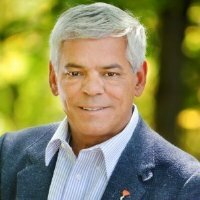 The Secret Service said Wednesday it’s investigating New Hampshire state Sen. Al Baldasaro for calling on a fire squad to execute Hillary Clinton for using a private e-mail server, NBC News reports. “The U.S. Secret Service is aware of this matter and will conduct the appropriate investigation,” Secret Service spokesman Robert Hoback told NBC News in a statement Wednesday. Baldasaro made the comments on the Jeff Kuhner radio show. Beldasaro is an adviser for veteran’s issues for the Trump campaign. Posted: 7/21/16 at 9:58 AM under News Story.